In 2010, Parker Palmer and Arthur Zajonc make a case to re-envision education to integrate mind, heart and spirit in a book that I would call a manifesto for this tectonic change. In 2007, Roger Martin, the dean of Rotman School of Business writes the book titled “The Opposable Mind: How Successful Leaders Win Through Integrative Thinking” which posits that “And” thinking as opposed to “either-Or” thinking powers most successful businesses. In 2004, Andrew Weil authors the book “Health and Healing: The Philosophy of Integrative Medicine and Optimum Health” which claims that the best healers combine western medicine with alternative medicine such as homeopathy, herbal medicine, yogic methods and Chinese medicine. 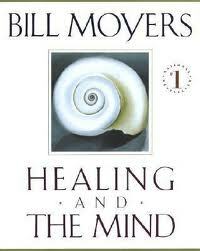 In 1995, Bill Moyers drew national attention to the emerging field of integrative medicine in his famous PBS series and book titled “Healing and the Mind”. Now we are now clearly entering an age when disciplines are being re-integrated. It’s about time we tear down the artificial walls that were created and divided not only disciplines, but also people. We are now entering an era when the shrinking world is forcing us to develop mutual respect for each other on an unprecedented scale.